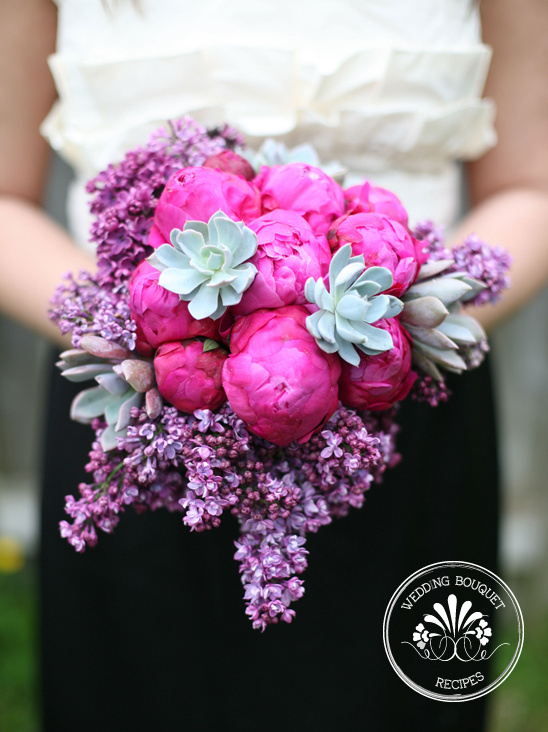 This amazing Pink, Purple & Succulents Bouquet bridal bouquet was photographed by Diana Marie Photography and designed by Portland Wedding + Event Designer Fleurology. It's filled with vibrant and spectacular flowers. If you aren't lucky enough to be in Portland, just take the recipe to your local florist. To swoon over more Bouquet Recipes.